Mail Terrier can search through endless folders of emails in seconds. Mail Terrier Home 1.1.0 was available as a giveaway on June 18, 2018! 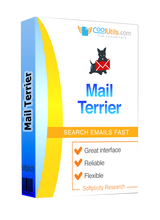 Mail Terrier can search through endless folders of emails in seconds, using only one keyword, phrase or a combination of either. It’s far more poweful than usual in-built search options as it searches through emails received from multiple programs (Outlook, Yahoo, Gmail, Thunderbird, etc.). Supported file types include: MSG, EML, MIM, EMLX, PST and MBOX files. Users generally select one word or a phrase to direct Mail Terrier, but it is equally capable of searching for a complex series of words or a specific sentence. For example: the app can find an email containing the words “house” and “buyer” in the body, if there are less than two other words in between the searched terms. But the Mail Terrier could also search for the specific phrase: “blue house with no buyer.” Mail Terrier can also be asked to exclude words from a search. The app is useful for home users, as well as legal firms or police and investigators, every one who comb through a large volume of emails from a variety of programs in search of a particular piece of information or evidence. How would you improve Mail Terrier Home 1.1.0? 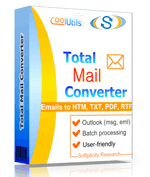 Convert MSG and EML files or PST/OST files to PDF, DOC, RTF, TXT, TIFF files. 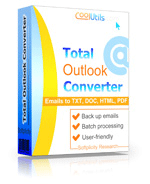 Convert emails directly from Outlook or PST files to PDF, DOC, TIFF for easy archiving or back up. Converts emails from Mozilla's Thunbderbird e-mail client to DOC, PDF, HTML, TXT, TIFF, and PST in batch. I have an old copy of Eudora with .mbx files but the program does not recognise them. QUOTE: "emails received from multiple programs (Outlook, Yahoo, Gmail, Thunderbird, etc.)" It definitely doesn't seem to support gmail or in fact any type of mail server, it seems its limited to searching through other tools local indexes. QUOTE: "emails received from multiple programs (Outlook, Yahoo, Gmail, Thunderbird, etc.)" It definitely doesn't seem to support gmail or in fact any type of mail server, it seems its limited to searching through other tools local indexes. The description above states "Supported file types include: MSG, EML, MIM, EMLX, PST and MBOX files" but the web page for Mail Terrier states "Supported file types: MSG, EML, PST, OST, MIM, EMLX"
So is there support for MBOX mail file format or not? My guess is that there isn't. Also I entered my Eudora main file directory to Mail Terrier but it didn't have any effect, so it's pretty certain that Eudora and its MBX file format isn't supported. I also use Thunderbird for certain mail (gmail in particular), and when I tried a search it crashed with an error dialog that invited me to mail Coolutils with an error report -- but the mailing of this also crashed too! Mail Terrier is too rough around the edges, and in its central core as well. Mail Terrier doesn't have any built-in Help or User Guide, and the website doesn't seem to have any either. The description above states "Supported file types include: MSG, EML, MIM, EMLX, PST and MBOX files" but the web page for Mail Terrier states "Supported file types: MSG, EML, PST, OST, MIM, EMLX" So is there support for MBOX mail file format or not? My guess is that there isn't. Also I entered my Eudora main file directory to Mail Terrier but it didn't have any effect, so it's pretty certain that Eudora and its MBX file format isn't supported. I also use Thunderbird for certain mail (gmail in particular), and when I tried a search it crashed with an error dialog that invited me to mail Coolutils with an error report -- but the mailing of this also crashed too! Mail Terrier is too rough around the edges, and in its central core as well. Mail Terrier doesn't have any built-in Help or User Guide, and the website doesn't seem to have any either. Meaning: does NOT search WEB MAIL. -- THEN this program, Mail Terrier, will allow me to search whatever has landed inside mycomputer, over and above the built-in search in Outlook and in Thunderbird. So, I can't use Mail Terrier to search my Yahoo Mail or GMail or AOL Mail where it is, in place, on the web. I gotta download my web mail. Everyday, before I search for something. Otherwise, it will only search through whatever I downloaded the last time I downloaded, yesterday, or older.
. "... CoolUtils Softplicity Mail Terrier Home 1.1.0 ... searches through emails received ..." ... "... RECEIVED ..." ... Meaning: does NOT search WEB MAIL. So, -- IF I can POP3 or IMAP my web mail into my computer, using perhaps ( usually NOT free ) Microsoft Outlook, or FREE Mozilla Thunderbird -- but NOT AOL Desktop ( which does not "receive" email into my computer ), -- THEN this program, Mail Terrier, will allow me to search whatever has landed inside mycomputer, over and above the built-in search in Outlook and in Thunderbird. So, I can't use Mail Terrier to search my Yahoo Mail or GMail or AOL Mail where it is, in place, on the web. I gotta download my web mail. ALL of it. First. Everyday, before I search for something. Otherwise, it will only search through whatever I downloaded the last time I downloaded, yesterday, or older. Got it. Um .. no thanks. . I have been trying to get the download link to work since 8 am this morning any body else having a problem?? Not sure about this software but I have been using MailStoreHome for some years with Thunderbird and it not only stores all my emails but allows rapid searching of them too. After the installation DO NOT search for any sources, skip it. Activate the program and restart the program. Again NO source selection. Disconnect from the internet and then search for sources. Then after a while there will be a notice, that the index is OK. If connected again to the internet, a selection of a new source will fail/crash. After the installation DO NOT search for any sources, skip it. Activate the program and restart the program. Again NO source selection. Disconnect from the internet and then search for sources. Then after a while there will be a notice, that the index is OK. Also a search will work: https://www.dropbox.com/s/zcam5511oeoi2wd/Zoekopdracht.png https://www.dropbox.com/s/612ze2p88pv03xf/Zoekopdracht-2.png If connected again to the internet, a selection of a new source will fail/crash. My email is stored on the gmail server, not my PC, so how does it work since I obviously cannot install software on the Google server? "Mail Terrier can search through endless folders of emails in seconds, using only one keyword, phrase or a combination of either." Breagha, managd to get it to search my laptops hard drives to try and find emails and several hours later... like 10 or more before it's finished searching for emails it crashes and loses all records of nearly half a days searching through 3TB of drives, needless to say the final straw in a large stack of bails of straw of programming mistakes. It is uninstalled now and the installers just about to be erased to avoid poor memory and curiosity ever letting me installing it again in the future. 30 years if experience as an ICT-professional: check. Installed: check Startup: check Running: check, but crashes after a few seconds 30 years if experience as an ICT-professional: check. Can not find attachments or pictures, can not search sub-folders or archived compressed mail, UNINSTALLED. If it happens again I"ll be uninstalling it. I have a lot of email backups so I thought this would be handy. Installed fine on Windows 7 laptop. Performed a deep search and it scanned backups of thunderbird and outlook express files okay, but then upon clicking ok after the deep scan it threw this error: http://prntscr.com/jwbb2x If it happens again I"ll be uninstalling it. How can it search emails in yahoo mail? Y, only if you install the yahoo account in say outlook as an IMAP account and then index and search the outlook local copy of the yahoo email folders. Should work in windows live mail as an IMAP account too. But in my experience with this today I'd not be surprised if it crashes if the account has alot of emails in it and that it will by default try and load web-content like external images etc which could be a privacy concern. Y, only if you install the yahoo account in say outlook as an IMAP account and then index and search the outlook local copy of the yahoo email folders. Should work in windows live mail as an IMAP account too. https://help.yahoo.com/kb/yahoo-mail-imap-settings-sln4075.html But in my experience with this today I'd not be surprised if it crashes if the account has alot of emails in it and that it will by default try and load web-content like external images etc which could be a privacy concern. ‘The app is useful for home users, as well as legal firms or police and investigators’. Investigators, such as Google? You have a choice — do not encrypt your email, so that everyone can read it, or encrypt it so that nobody, even you yourself can find anything. ‘The app is useful for home users, as well as legal firms or police and investigators’. Investigators, such as Google? You have a choice — do not encrypt your email, so that everyone can read it, or encrypt it so that nobody, even you yourself can find anything. Laxative, How Does One Encrypt There Email, as I Have Certain Messages That I Need To Encrypt? MayB you can enlighten us by telling which freeware search engine you use...? @Robert, MayB you can enlighten us by telling which freeware search engine you use...? The description makes this software out to be something more than it really is. It's nothing more than search engine that allows you to enter search phrases as well as words. I have a freeware search engine that does everything that this software can do and more so why would I even consider paying nearly $70 for it. Robert, What freeware search engine are yo referring to? Can you please share with us? Robert, would you care to elucidate and divulge this freeware search engines name that does everthing this can do and more and presumably is far more stable too? Apparently works on Windows 2003 (?) but not on XP. Or does it? Laxative, Windows 2003? Is there some release of Windows that only you are privy to? Windows 2003 is a Windows server o/s which is no longer supported and has not been for about 2 yrs now. Harry Mudd, Windows 2003 is a Windows server o/s which is no longer supported and has not been for about 2 yrs now. You are aware it is 2018 ?? Guessing you still play Atari. Skeeter, You are aware it is 2018 ?? Windows 2003..? Guessing you still play Atari. Mothman, tons of people can't afford to buy a new computer every time they release one. Why feed into the scamming arts of buying an upgrade of what you've already paid for? - tried to add a top folder, did not scan subfolders. - would be a great app if it just opened a top folder and showed all emails and searched, logged exceptions rather than break. - tried to add a top folder, did not scan subfolders. - clicked checkall button nothing selected and crashed - only started working once I opened a folder that contained mail (not top folder) - crashed on problematic characters in mail subject on search - would be a great app if it just opened a top folder and showed all emails and searched, logged exceptions rather than break. Win10 x64Pro in 24gb RAM. Looked promising initially, but then crashed with memory allocation error partway through initial indexing. Win10 x64Pro in 24gb RAM. Looked promising initially, but then crashed with memory allocation error partway through initial indexing. Uninstalled. This software phones home with your emails. Try it with your firewall and see it open a port and send your stuff. Sadi, I think you will find that the software is accessing your email server to look for whatever you have asked it to find and by the sound of things it doesn't seek permissions to do so, that to me is a major concern and is a good reason not to bother download and install. I could be wrong, maybe someone can enlighten me if I am. Robert, why would it want to search online email servers? that would be the slooooowest way to search emails since it would require the program to download content again in order to to pattern match it with the search term... No moderate sized inbox of folder heirachy could be searched in "seconds" it would take thousands of seconds for most users. The only way to search rapidly is searching locally cached email databases and that would not require any network connection. I am not stating how it IS but just considering possibilities I too am not inclined to give an unknown 3rd party access to my email databases or servers even if Giveawayoftheday.com vouches for them! Robert, why would it want to search online email servers? that would be the slooooowest way to search emails since it would require the program to download content again in order to to pattern match it with the search term... No moderate sized inbox of folder heirachy could be searched in "seconds" it would take thousands of seconds for most users. The only way to search rapidly is searching locally cached email databases and that would not require any network connection. I am not stating how it IS but just considering possibilities I too am not inclined to give an unknown 3rd party access to my email databases or servers even if Giveawayoftheday.com vouches for them! TK, good point, hadn't thought of that, it was just a thought .... If what Sadi says is right and it does connect to the internet ... Mmmmm, not sure what's going on there. Still not inclined to try it. Sadi, just installed this and tried it out and I notice that the program DOES try to connect to the internet. BUT for me it is NOT trying to connect to email servers or the developers site as such but is stupidly trying to download emails web images! Now real email clients normally by default let you block we served content from loading without explicit permission to protect our privacy... This program attemps to download the website hosted content embedded in emails by default which is a privacy and security concern. There apears to be no in program option to disable this unauthorised information disclosure activity so if you insist on keeping this and don't want it to reduce the integrity of your privacy settings you will need a firewall that can prevent this application from accessing the internet. I do have that type of firewall but I don't want to keep this since it feels badly programmed with several lock up points where it blocks activity and GUI responsiveness when engrossed in some internal processing as well as not finding all my email programs data-stores... so fails on several levels for me and will be removed. I did not have to bother registering it in my test, and won't bother to since I am just about to uninstall it.